Cake Batter. One of my all-time favorite flavors. Whether it is frozen yogurt or ice cream, cake batter is always one of my top choices. When I realized I’ve never made Cake Batter Ice Cream, I HAD to make it immediately. 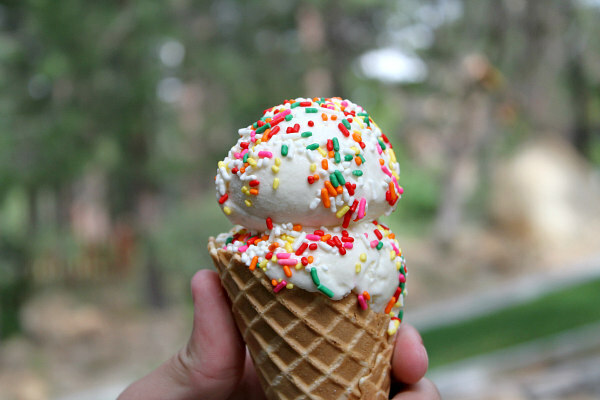 And what better way to top it than with rainbow sprinkles?! Summer is incomplete without a new ice cream recipe every week! 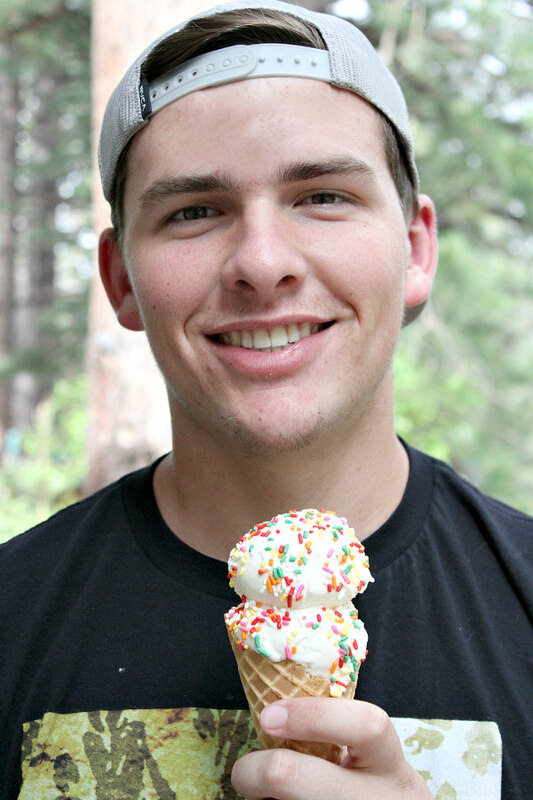 This was the last recipe I made at my home in the mountains below Lake Tahoe, but I can already tell that I’ll be making plenty of ice cream at our new home in Arizona. The heat is brutal. There’s nothing like a good ice cream cone on a hot day in July. I would usually be in Massachusetts at this time of year, but we couldn’t go this year because of the move to Arizona. 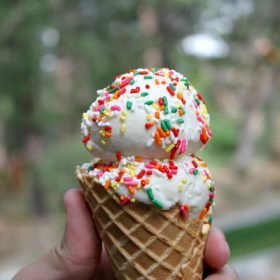 Cake Batter Ice Cream is so versatile! 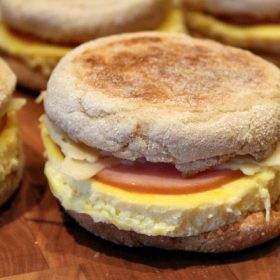 It is one of those flavors that tastes great with any kind of topping. The recipe was surprisingly easy to make… I thought that more effort would be required for a seemingly complex flavor like cake batter. But nope! Simple and easy. And the end result? WOW! 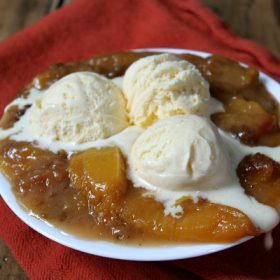 This ice cream is more than just good… Hands-down one of my favorite ice cream recipes in existence! In a medium bowl, whisk together the milk, cream, sugar and vanilla. Whisk in cake mix and stir until somewhat dissolved. Cover and refrigerate this mixture until very cold (or overnight). Make sure your ice cream maker's insert has been frozen for 24 hours. Freeze the ice cream mixture in your ice cream maker according to the manufacturer instructions. I have a Kitchenaid and I need to churn it for about 25 minutes. 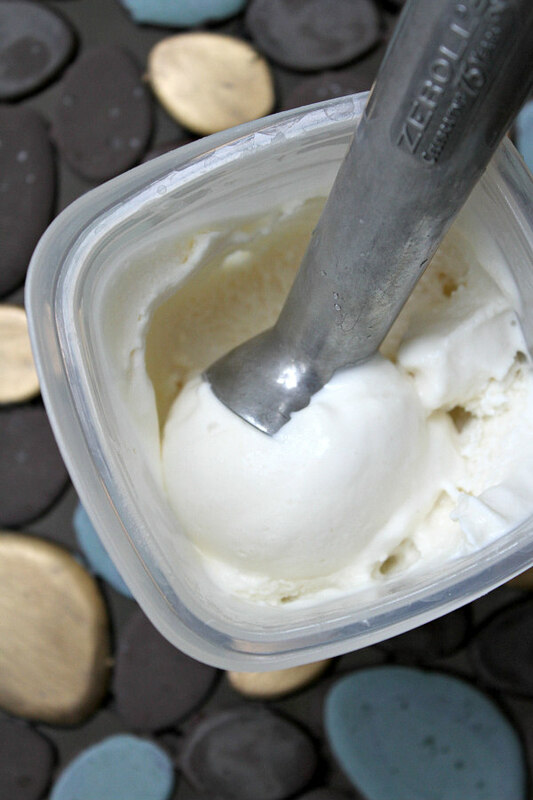 Scrape the churned ice cream into a freezer-safe container and freeze until firm. 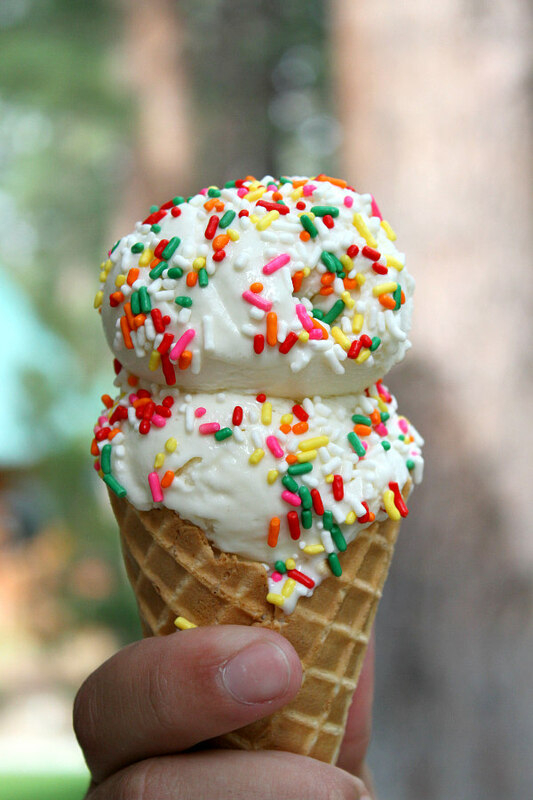 Scoop and serve with sprinkles, if desired!